But corporations, politicians, and others who have attempted to manipulate the Net to their own ends have discovered that it isn't&#160;as easy as it appears. True viralness can't be manufactured, no matter how many phony blogs and tasteless videos you generate. The following&#160;ten campaigns didn't follow these rules, earning them a permanent spot in the Marketing Hall of Lame. 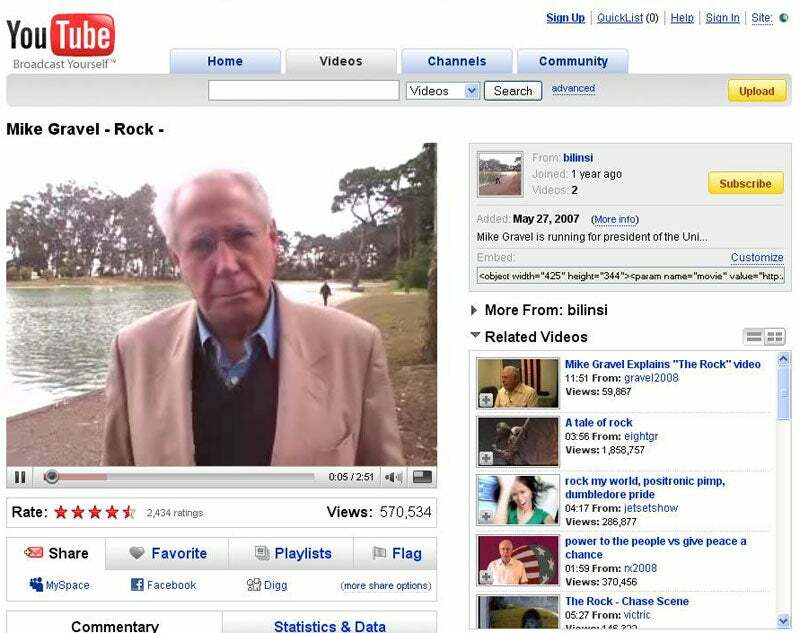 Rock on: Perhaps throwing a boulder in a pond wasn't the best way to spark a viral video. Lame: Hoping that&#160;YouTube would make people vote for you despite your not having held public office since 1981. 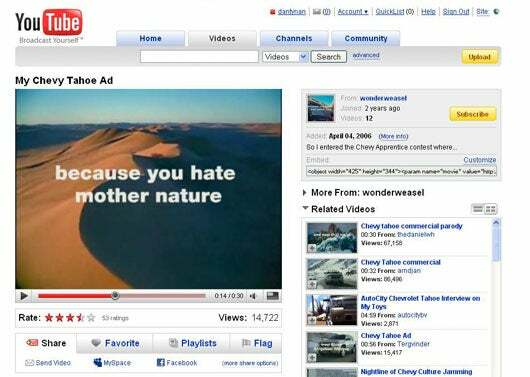 Chevy didn't get exactly what it expected when it asked consumers to make videos expressing their opinions of the company's SUV. But instead of loving paeans to urban assault vehicles, hundreds of videos appeared portraying the Tahoe as a gas guzzling, safety-challenged ego enhancement&#160;for environmentally irresponsible dorks with diminutive sexual organs. After a couple weeks of abuse, GM scrubbed the videos from its site, but many live on at YouTube. We don't know who came up with this brilliant idea, but we can guess what happened next. To quote Apprentice-master Donald Trump: "You're fired!"